Sacrificing thralls was a popular option, but it turns out we only have 5 thralls. 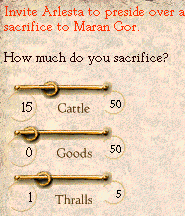 I sacrifice one thrall to keep bloodthirsty goons happy, and make the rest of the sacrifice cows. 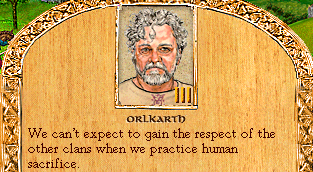 Okay dude, I get it, sacrificing people is bad; now SHUT UP. A glance at the map shows that nobody's attitudes towards us seem to have budged, so if it had any effect, it's probably at the general repuation level(that King-Stickpicker graph we see each sacred time). 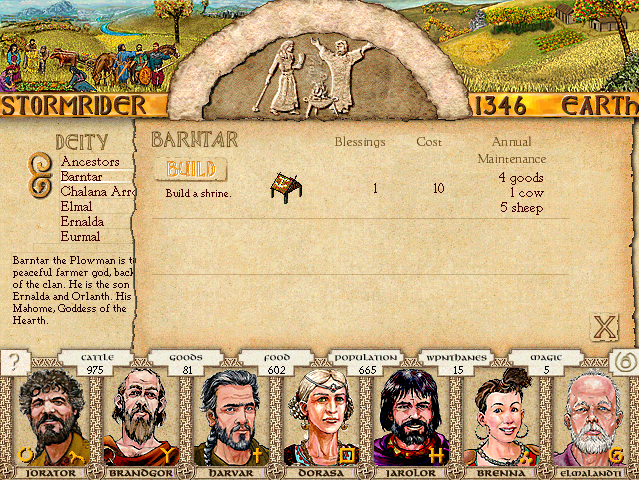 Anyway, I make a shrine to Barntar so that we can work our fields more effectively. 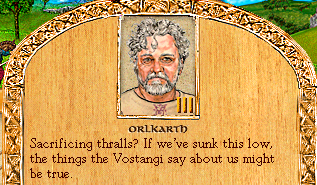 Then I send Jarolor off to make a trade route so we can get more wealth from it. Priesttesses of Chalana Arroy from many different clans have gathered to pay homage to their goddess. As part of their devotions, they are traveling to various tulas and offering to heal the sick and wounded. They ask only that you promise to aid them in the future when your help is needed. The more people they heal, the greater the favor they will ask. 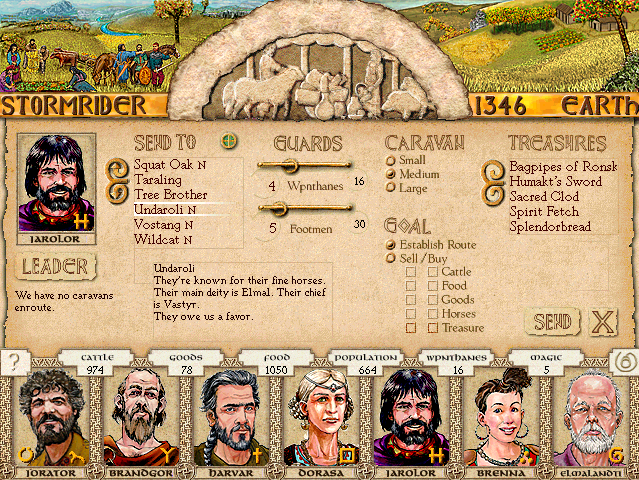 The people are honored by their visit. -Ask them to heal only a few people. 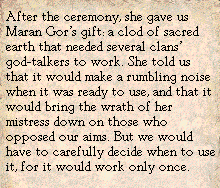 Everyone loves and respects the priestesses of Chalana Arroy; if we gift them generously, other clans will look on us with favor. In general, it is bad to promise a favor when you do not know what the favor will be. Did I ever tell you the story about what happened when Eurmal lifted Chalana Arroy's skirt to see what was underneath? 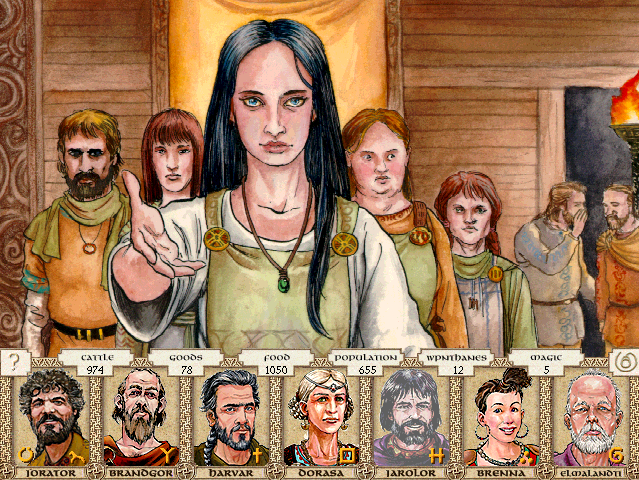 Not all attempts to heal succeed, but these priestesses have powerful magic.